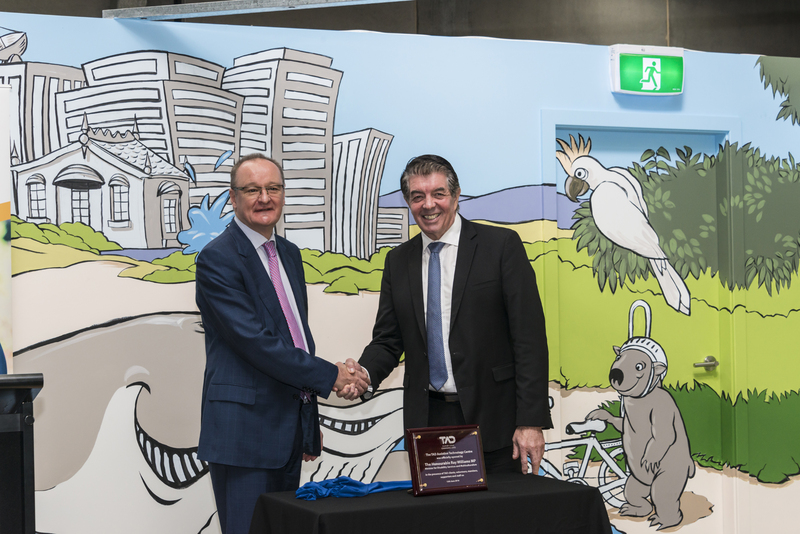 The Minister for Disability Services, the Honourable Ray Williams officially opened a new Assistive Technology Centre at TAD today in Northmead. The centre provides a space for therapy assessments, a training space and product showroom for people to come and try some of TAD’s volunteer-built equipment solutions for people with disability. 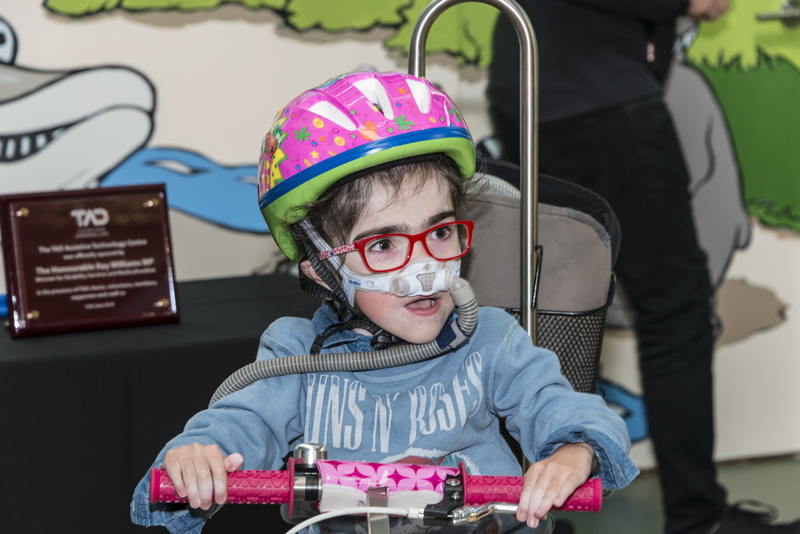 It also has a dedicated riding track which is a safe, child-friendly space dedicated to seeing children with a disability take their first independent lap on a custom bike. 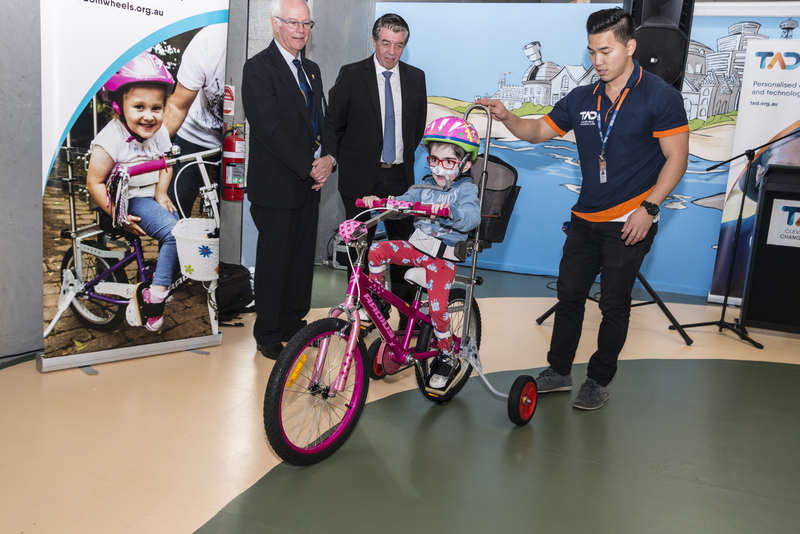 The Minister then presented a custom Freedom Wheels bike to 6 year old Josie-Ellen. Josie-Ellen has multiple congenital anomalies, global development delay and requires a CPAP machine. The Freedom Wheels bike was prescribed by the TAD therapist and generously funded by the Lions District 01N2. 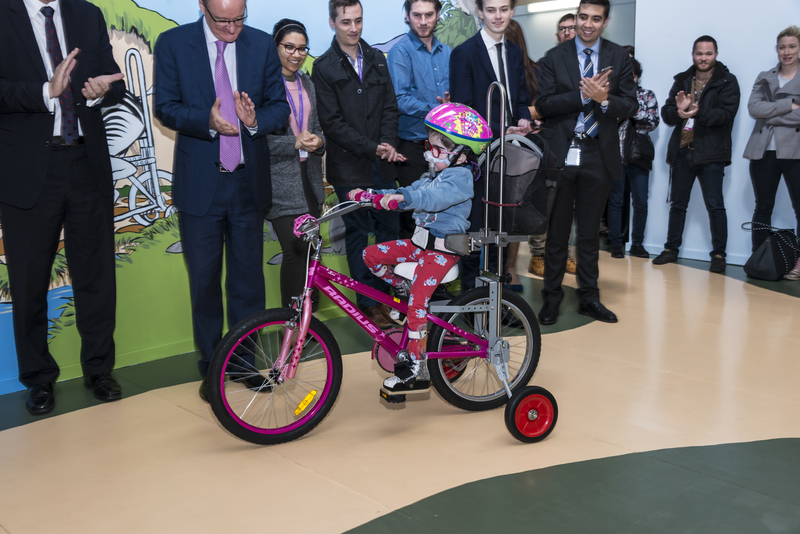 Today Josie-Ellen was the first of many children living with disabilities who will have the opportunity to ride a bike, when never thought possible, at the new Centre’s dedicated riding track. The Freedom Wheels riding track features a 30 meter mural spanning 5 walls. 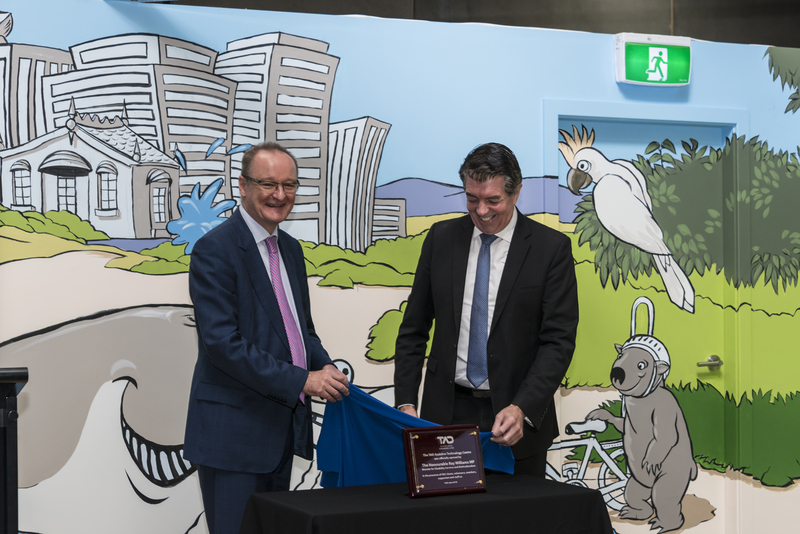 The artwork was specially designed by Australian artist Vincent de Gouw and completed by volunteers from GIO, Suncorp, Commonwealth Bank, St George Bank and Office Works. Thank you to the Honourable Ray Williams, The Jibb Foundation, The Raymond E Purves Foundation, The Lions District 01N2, Vincent de Gouw, Robert Shelberg, TAD volunteer, George Tillett, TAD volunteer, and the staff of GIO, Suncorp, Commonwealth Bank Wentworthville, St George Bank and Office Works.